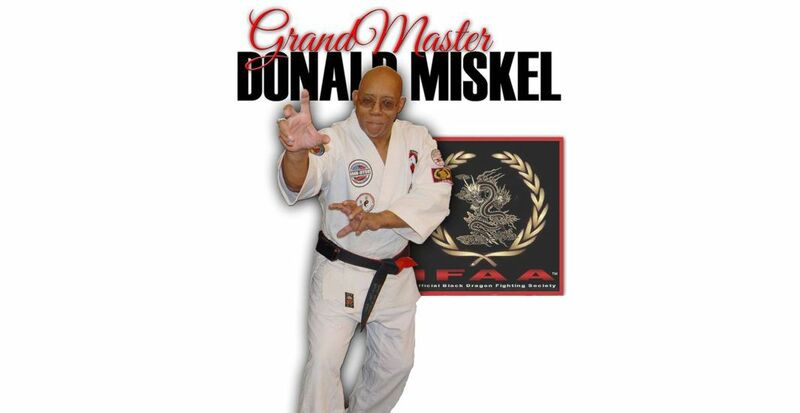 Home My Perspective Donald Miskel's Perspective Is There Life in the Martial Arts After Old Age? 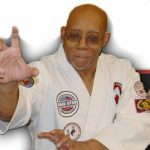 I have been on this martial art journey for about sixty one years. Since I didn’t start at birth most of you would have garnered the fact that I am no longer a young man. I’m not even a middle aged man. The truth being that I have some age on me. However though the body changes and capabilities shift I am still a martial artist and probably will be until they plant me. I was never a tournament champion. That isn’t what I studied the arts for. Growing up in ‘the inner city’ of Chicago the martial arts was more of a survival tool. No, I wasn’t picked on or bullied as a kid. I was too volatile for that. I not only would fight but I actually got off on it. My father was a marine during WW II. He was stationed in Hawaii and along with being trained in the marine version of hand to hand combat he was exposed to several styles of martial arts. As a military policeman he trained more extensively in those arts than most of his peers. When I was a small tyke (yes, you young buzzards, I was once a kid) my father tried to teach me what he knew. I was probably too young and wasn’t able to grasp most of what he was trying to teach me but it planted a seed. Later, when I was about ten years old my friend’s father came home from military duty. He had been a marine staff seargent and spent most of his enlistment in Okinawa. He was a military boxing champion but rather than studying Okinawa’s indigenous arts he studied judo. He was the boxing coach at one of the Park District’s field houses and after the boxing classes he trained his son and I in judo. That lasted for a little over a year. After they moved I didn’t have a sensei but I continued to box and I got in a wrestling program. When I was twelve I started what I consider my formal martial art education. 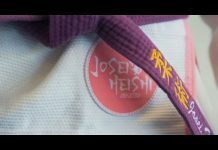 I began studying judo and jiujitsu at the oldest and most prominent school in the city. It was two years into that class when I met my first karate instructor. He was sent to Chicago by the JKA and taught Shotokan Karate. I stayed with him until I met Douglas Dwyer and through him I met John Keehan. The rest is history. 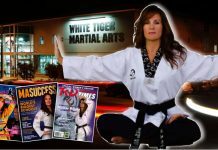 In my martial art career I have had an opportunity to study internationally and while I’m not the greatest martial artist this age has produced I have garnered an excellent foundation and a great deal of knowledge in these many years. Again, all of that is history. Times change and circumstances shift. My body has aged over these many years and a thousand minor and not so minor injuries have come back to award me for the years of abuse I put my body through. The years have taken a toll. 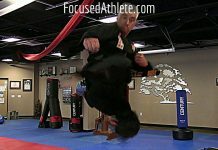 I’m at the age where most martial artists have retired, probably because of some of the same challenges that I have mentioned. I’m at a stage now where my mind knows a lot of things that my body just can’t do. My years of todi geris (flying kicks) and ne waza (ground fighting) are safely behind me. When I was a young man I suffered from the same malady that many young martial artists struggle with. I was enamored with the theatrical. I leaned toward the more acrobatic and visual techniques. My philosophy was this; Why kick someone in the knee and end the fight in its tracks when you can leap in the air, flip over spin around three times and kick someone in the head. Usually the opponent would walk away in psychological overload or they would die laughing. Of course I’m exaggerating but I’m sure that you serious martial artists out there know what I’m getting at. All of that was then. This is now. At this point of my life I might be able to kick you in the head but even if the technique landed with any power it would probably do me more damage than it would you. Most of those aesthetically pleasing techniques are lost to me. At this late date I have had to focus on the techniques that work for me which means I am no longer visual in my approach. I’m told that I have pretty decent form and I’m still pretty graceful. Conservation of energy and economy of motion translates itself like that to the eye but being graceful is the furthest thing from my mind. Being effective with the tools that are left to me is my primary focus. To my younger martial artists out there I have bad news or better yet let’s call it a reality check. Age will put demands on you. It happens to the best of us, some sooner others later but if you live long and continue in the arts you will be where I am. You will either have to tweak what you are doing and how you do it as time passes and the body yields to age or you will have to transition to an art that will allow you to continue on this journey. Minimize the damage to your body and don’t put it through unnecessary abuse. You can only endure so many broken bones and kicks to the head. Train smart and pace yourself. Hopefully you’re in this for the long haul and not just for a while. 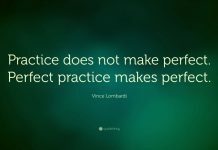 To those who have gotten too old to get too hands on try coaching rather than teaching. Train those who know the basics and just require an effective and practical physical regimen. Research, innovate, educate. Pass on your insight and wisdom as well as your knowledge and expertise. As you begin to teach more advanced students you’ll find that more of your instruction will be in those more esoteric realms anyway. 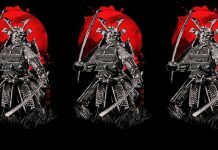 You’ll find that most of your midlevel and advanced level Black Belts don’t need much help with their technique. They can however benefit from the years of knowledge and wisdom that you have accrued over the years. I am in my seventies now but I still find occasion to pass some bit of knowledge on or share a word of wisdom. That’s what old folks do. Should be anyway. We teach, we preach, we educate, we give direction. We inspire other martial artists. While allowing them to grow and create themselves as martial art technicians we give them the knowledge that they need in other areas. In the end, as we continue to grow and we recreate ourselves we will find that we have become as much life coach as martial art instructor. 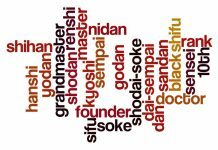 But then again that’s what a sensei is supposed to be anyway. Blessings to you, my brethren. I offer special encouragement to the old guard in the martial arts. Keep the faith and keep on keeping on.